Everyday life such as using perfumes, body oils, soap and hair spray all contribute to making your jewellery look lacklustre and dull. 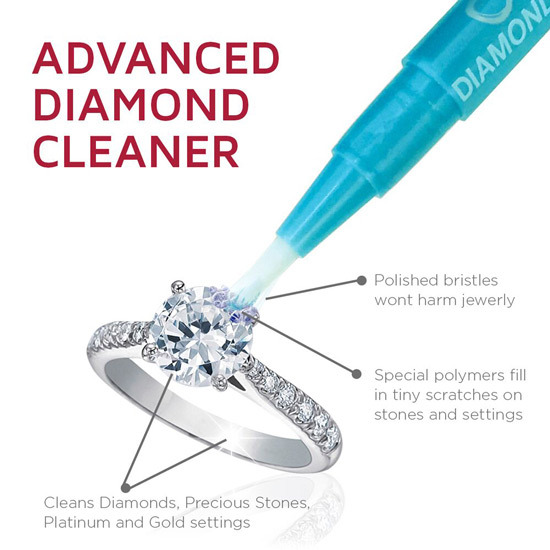 Looking after your jewellery by cleaning it with the right products will maintain it’s looks and will prolong it’s life. To bring back the sparkle and shine we recommend using Connoisseurs home jewellery cleaning products which are safe and effective and easy to use. 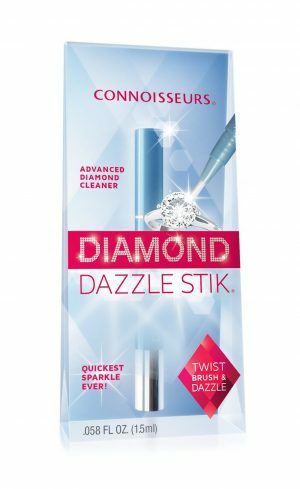 Dazzle stiks: £9.99 – these are the fastest way to clean diamonds and precious stones. A special formula of micro-fine cleansers and polymers are to use on diamonds and all your precious and semi – precious gems, including platinum and gold settings. 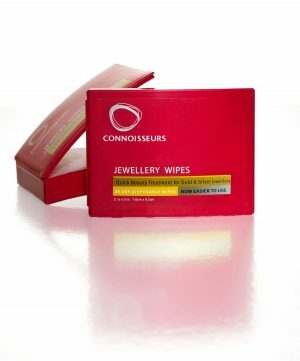 Jewellery wipes: £8.99 – these dry wipes will clean your gold and silver removing any tarnish, adding an anti-tarnish shield. They can be safely used on watches and costume jewellery. Sonic Dazzle Stik: £39.99 – this is the complete home care kit which is used for a deep clean. With over 200+ cleans this will give the wow factor of a professional finish.